Who doesn’t want a straight and even smile? If metal braces didn’t seem like a burden, more people would have beautiful teeth! Good news! Invisalign offers a more convenient braces experience. Invisalign can bring your future perfect smile to life! Dr. Brett Felton is excited to help you get an incredible straight smile without any of the downsides associated with metal braces. How Can I Straighten Teeth Without Braces? Invisalign makes it possible to straighten teeth without braces. Instead of wires or brackets, Invisalign uses customized transparent aligners. These aligners are virtually invisible and fit snuggly against your teeth. Dr. Felton will design a series of clear aligner trays for your unique smile. Your first set of trays will gently move the teeth into a slightly different position. After about two weeks, you will begin wearing your next set of aligners, and so on until your teeth have moved to their healthiest and most aesthetic positions. Eliminate the Embarrassment and Discomfort of Braces! Invisalign invisible braces are designed with innovative computer technology to give you your best smile. Most patients achieve their brilliant new smile in 12-24 months. The great news is that you won’t have to sacrifice your lifestyle or your appearance during orthodontic treatment! If you are interested in invisible braces, schedule a consultation with Dr. Brett Felton. He will ask you about your goals for your smile and help you decide if invisible braces are right for you. He will take a 3D image of your teeth and use it to create your custom treatment plan. Invisalign invisible braces make it possible for you to enjoy an orthodontic treatment that fits seamlessly into your life. You can feel comfortable and confident from treatment start to finish. If you would like to talk about your smile’s potential and your orthodontic options, don’t hesitate to give us a call! 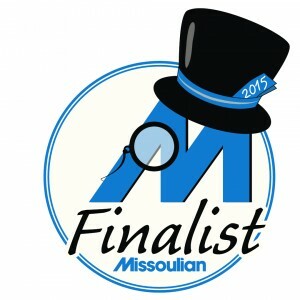 We look forward to giving you a great Invisalign experience at the Missoula Dentist.